You see, our first space saw our business grow from just an idea to an award-winning bottle shop and craft beer bar over the course of almost 4 years. Through that transformation, the space picked up a lot of character. A hodge-podge of different shapes and sizes of shelves and coolers. Brewery tin takers and signs on the walls, a foreign money collection, posters for upcoming events, and a “wall of fame” featuring the faces of folks NC craft beer industry. Through this organic growth of our space where we were constantly rearranging and trying to make our small space work, we naturally left our mark on the walls and every inch of that space. When we moved into our current home, we already knew who we were and we knew what the space needed, so everything was built to spec - a fresh coat of paint on the walls, shiny new tables and chairs, a digital beer menu, and lots of clean glass walls. However, what we missed was that we had dropped the ball when it came to carrying over the character of the old space. Our new digs didn’t have that “lived-in” feel that makes everyone comfortable and at ease when sitting at the bar. It felt big and new and shiny and…sterile. So, over the course of the last twelve months, we’ve made it part of our mission to bring some of that missing character back to The Jug. To do that, we didn’t want to simply recreate the old space, but we wanted to use the new space to tell our story and to show that our customers and their enjoyment are our top priority. Thus far, we have attacked a few key projects. First, we took all of the beer off of the shelves, completely rearranged the bottle shop area, then put all the beer back on the shelves. This allowed us to open up the bottle shop area and eliminate the narrow aisles, allowing people to more easily move through the bottle shop from the bar. This brightened up the space by allowing more light into the bottle shop and made it feel much more accessible and less “roped off'“ from the rest of our space. It also enabled us to add some additional shelving so that we could grow our cider, mead, and wine selection! Next, we invested in some sharp looking acoustic panels which we hung in the Atrium to help dampen some of the echoing sound that can build in that area when the walk-in cooler is running and lots of folks are talking and having a good time. It’s still a bustling room, but doesn’t sound like you’re in a high school gym anymore, allowing everyone to feel a bit more comfortable. Speaking of comfortable, we also added a snazzy new footrail to the bar to make sitting belly-up at the bar even more relaxing! And, if you didn’t already know, the new bar has purse hooks outlets, and USB connections on the customer-side of the bar so you can hang your coats and bags and charge your devices while you enjoy a beer! We have been wanting to get some artwork up on our walls for some time, but have been struggling to figure out exactly what to do. Jessie supplied us with some custom paintings that have hung in the back hallway of the Atrium, which are awesome, but we wanted to do more. So, we first looked at the resources we already had and took our brewery tin tacker signs that were up at the old space and hung them above the bathrooms, adding a splash of color to the back hallway. We also resurrected our foreign money collection and put it up on the wall in the Atrium (feel free to donate any foreign currency you have that isn’t represented so we can continue to grow our collection! ), bringing back a few reminders of Suite AF. Another resource we already had but were taking for granted was the work done by our graphic designers Maari and Ryan, since our original opening. We re-printed our 1-year, 2-year, 3-year, and 4-year anniversary posters that they designed for us, got them framed, and hung them up in the bottle shop. It not only showcases their talent, but also the evolution of our brand over the first 4 years. And, we already have a spot saved for this year’s big 5-year anniversary party that will be happening in the fall! 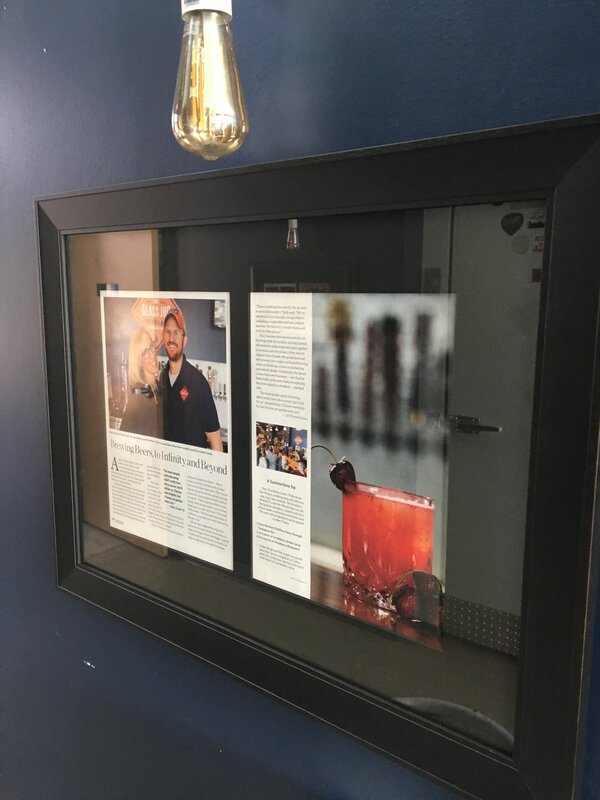 In addition to having the anniversary posters printed, we also had some of our favorite Glass Jug news articles framed to be displayed in the Atrium hallway. We’ve been fortunate enough to receive some very kind write-ups by The UNC General Alumni Association, Hope Valley Living Magazine, and INDY Week over the past 5 years. It’s silly of us not to take advantage of those articles and share them with our customers. One other big project we wanted to undertake this winter to prepare us for the warmer weather was to make our beer garden and front patio areas more comfortable. We have gotten a good start on this by adding more umbrellas to the tables in the beer garden and replacing the front patio furniture with new tables and chairs. 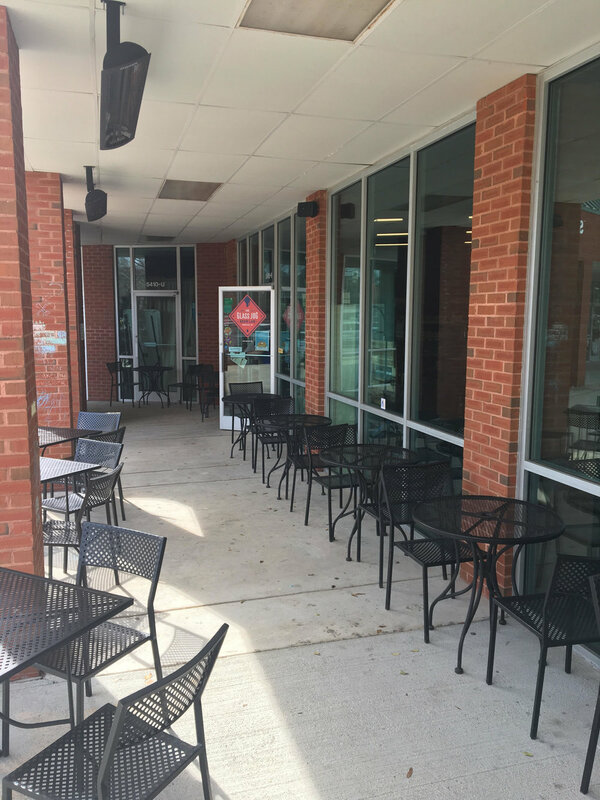 Additionally, we installed three high-powered patio heaters out front so that customers can use and enjoy that area for more of the year - particularly on those chilly fall and spring nights where you want to sit outside but it’s just a bit too chilly. By no means do we feel that we have finished this task, but we’re excited about what we’ve been able to do over the past 12 months with this new space. I’m certain that we’ll continue to add character both purposefully and organically over the coming years. 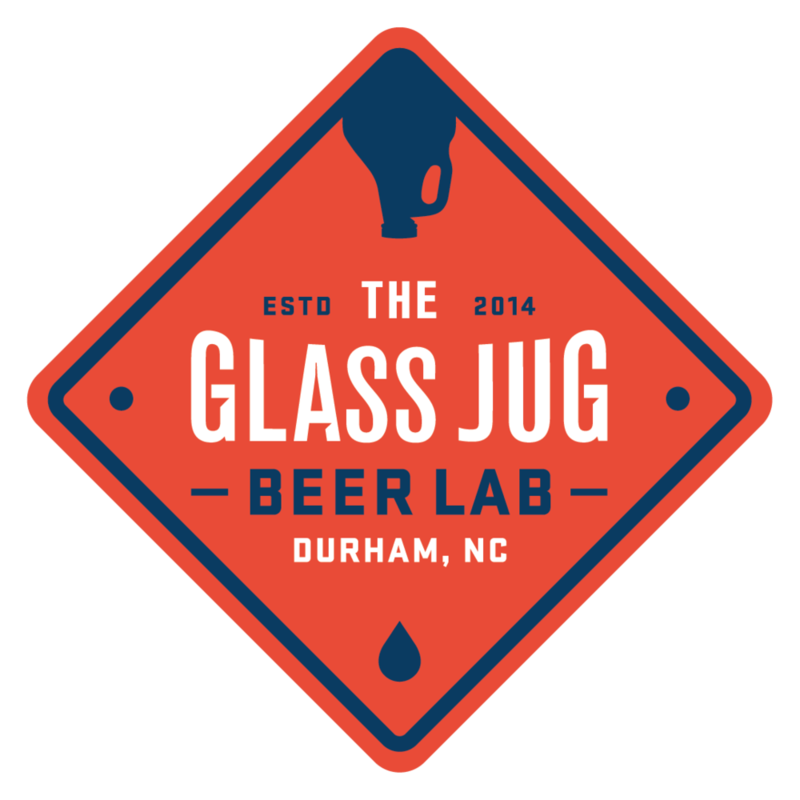 It’s always our goal to have a space that is relaxing and comfortable, so we will continue to do what we can to make The Glass Jug a relaxing and comfortable spot to enjoy a great beer or glass of wine for many years to come. Older PostCraft Beer Advent Calendars are Back!